Sometime in the ‘70s, when Harmony Natural Foods opened along the University Boulevard Strip in Tuscaloosa, the store was a radical change from everything else on the Strip. It was close to my apartment and I would occasionally drop in for lunch – a sandwich or a salad. Harmony was really the only place in town to get the particular kinds of natural foods it was serving. Harmony was an outgrowth of the hippy movement moreso than it was a harbinger of the food movements to come but it has managed to straddle both; it moved from the University Strip to Tuscaloosa’s McFarland commercial drag, changed its name to Manna Grocery and Deli, and is still in operation spanning five decades. Back when I was a Harmony customer, I would dash across the street to Charles and Co. and grab a Coke before I went to have my “healthy” meal. I wasn’t always in the mood for the juices and herb teas that were the Harmony beverage options. The food was generally good, but I remember an abundance of alfalfa sprouts on everything. I realized I am not a fan of alfalfa sprouts – they were fine as they were being eaten but had a metallic and lingering aftertaste that was and is unpleasant to me. Finally I started specifying “no sprouts” when I placed my order. After all of these years, if I am ordering something that I suspect might have alfalfa sprouts, I will ask to have them left off. Recently, though, while I was strolling through Pepper Place Saturday Market in Birmingham, one of the guys from the Iron City Organics microgreens stall motioned me over. “I want you to try something,” he said, and almost before I could say okay he clipped off a couple of tiny sprouts from a tray and I put them in my mouth. The fleshy green sprouts popped with a burst of summer that was tangy and refreshing. I had to have some and I took them home and used them in salads and as a garnish for various dishes. When I ran out of that first batch, I was anxious to get more. Last week, when I went to Pepper Place, a visit to Iron City Organics was the absolute priority. 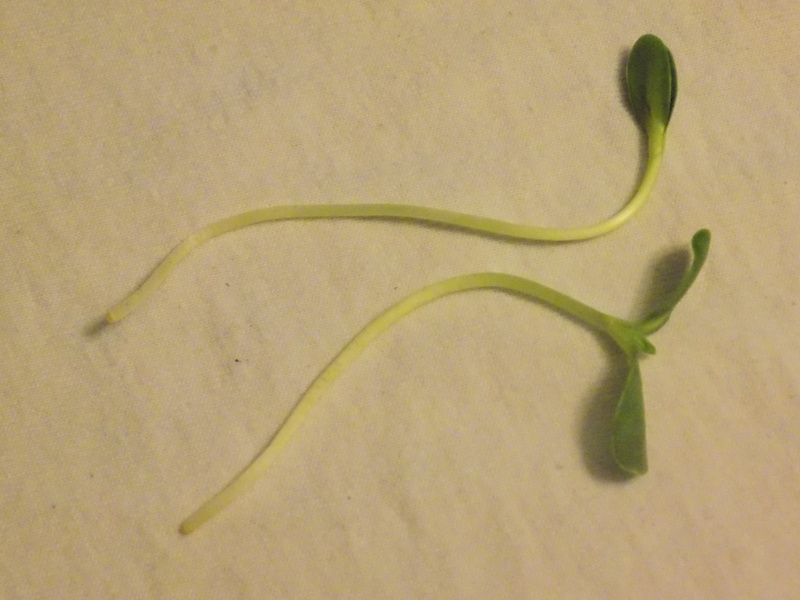 There were trays of fresh sprouts still in the dirt and, after sampling, I came home with more sunflower sprouts, added wasabi microgreens to the mix, and am now thinking of all the ways I might use these and all of the other Iron City Organic crop. In addition to the variety of microgreen sprouts, Iron City also has full grown produce – kale, mustard, radishes, etc. – and a fine array from which to choose. The guys at the stall are so passionate and take such pride in the product they are nurturing and providing that it’s hard not to catch their enthusiasm. They clearly know how to run a business and serve their customers; a search of their online presence backs up that perception. I have recently become obsessed with accessing fresh watercress, which is hard to find, and now, thanks to the guys at Iron City Organics, I am embarking on a whole new sprouting angle to my menus. But I’m still avoiding the alfalfa sprouts, thank you. 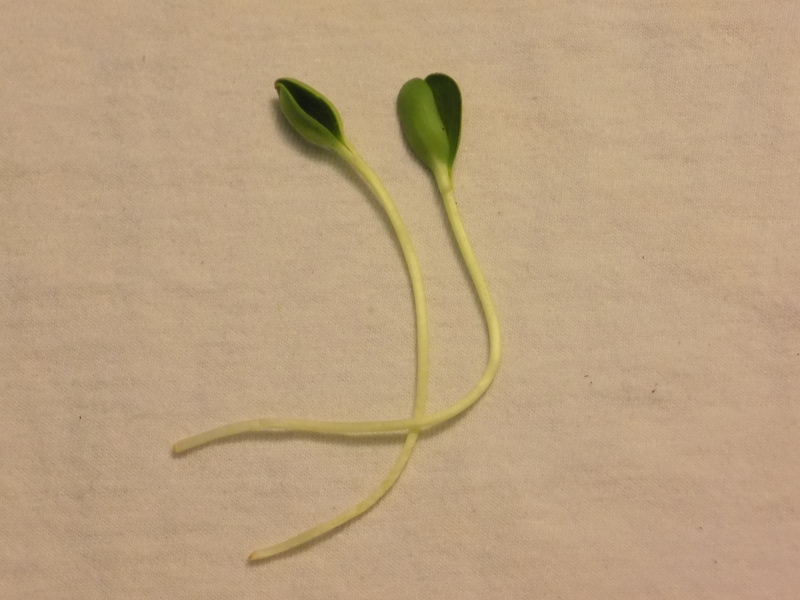 This entry was posted in Iron City Organics and tagged Alabama, Birmingham, Harmony Natural Foods, Iron City Organics, Manna Grocery and Deli, microgreens, Pepper Place Market, sunflower sprouts, Tuscaloosa, wasabi microgreens on July 25, 2017 by gedwardjourney.